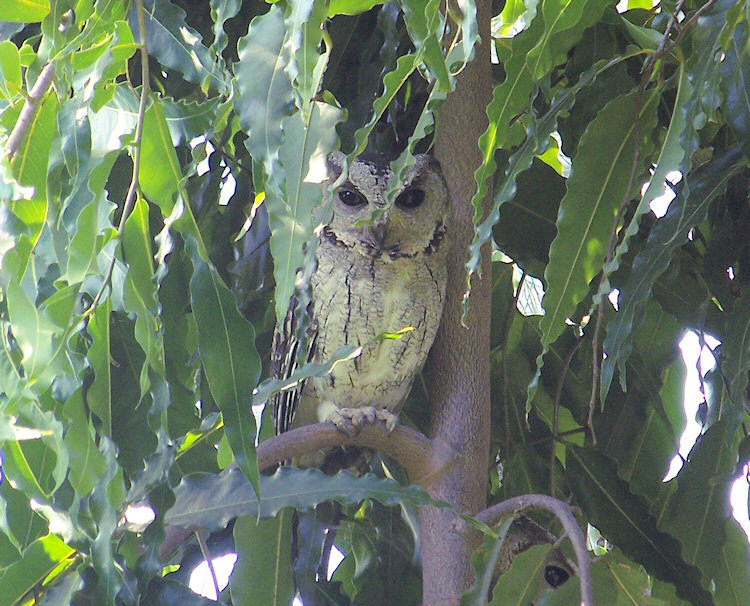 Indian Scops Owls at roost in Central India. Most Owls are active at dusk and dawn, spending the daytime at a quiet, inconspicuous roost. They can be found roosting singly or in pairs or family groups. Image © Abhijit Pachgade.